Queensland is a land of bananas, cattle and sugar cane. 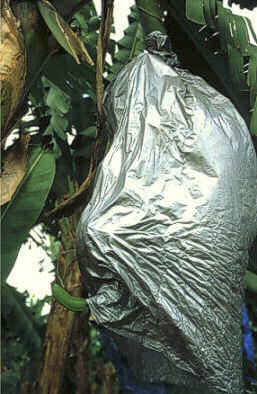 The farmers put plastic bags for protection on the young fruits, but not each banana agrees. By the way: banana leaves are not ragged by nature, they're only ripped by the wind. And even though some of them grow quite large, they are no trees, just really big herbs with their stems growing beneath the ground.